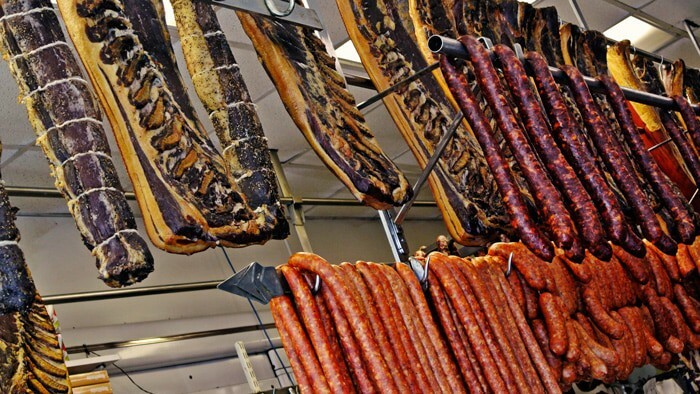 Welcome to the Romanian Willy Wonka factory of cured meats. After demolishing some BBQ with Tom at John Brown Smokehouse, our meat-filled adventure in Queens wasn’t even close to over. I recently watched the Queens episode of Bizarre Foods featuring one of my eating idols, Andrew Zimmern, and saw something I knew I had to have. 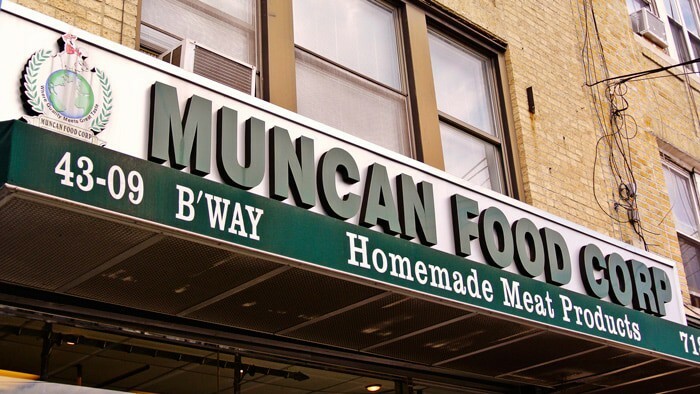 He went to a magical place called Muncan Food Corps that he described as a meat processing plant. I think this was a pretty sterile name for a place as incredible as this. There was every kind of meat imaginable. There was pig, duck, goose, beef, chicken, and more. 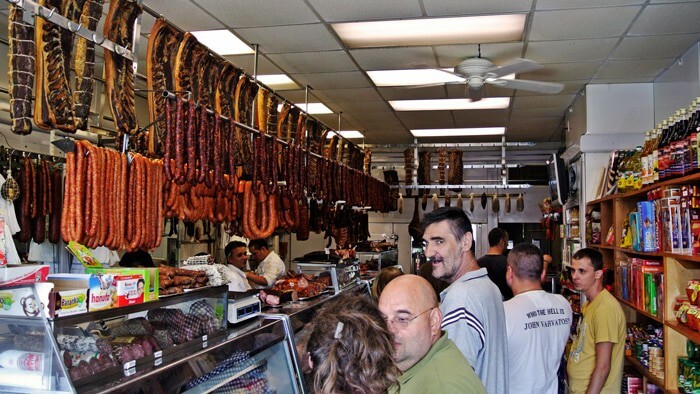 They came in many forms like cured sausage, bacon, prosciutto, ham, roast beef, head cheese, and chicharrónes…. OH THE CHICHARRONES, we’ll get to that later. Every single thing is painstakingly handmade in house and absolutely incredible. Just check out this shop! As amazing as this looked, it SMELLED even better. The workers at this shop are very knowledgable about all the products and are more than happy to give recommendations and give samples to help you decide. I know I needed some suggestions with as many choices as they had here. I made sure to load up on many of those interesting and inexpensive meats to eat later at home. 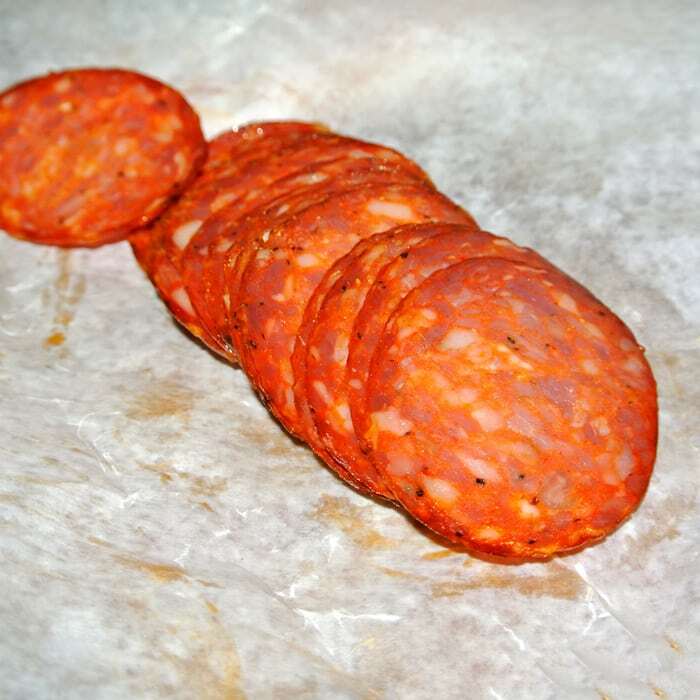 The most ordinary of my selections was from the hard salami section of the shop. 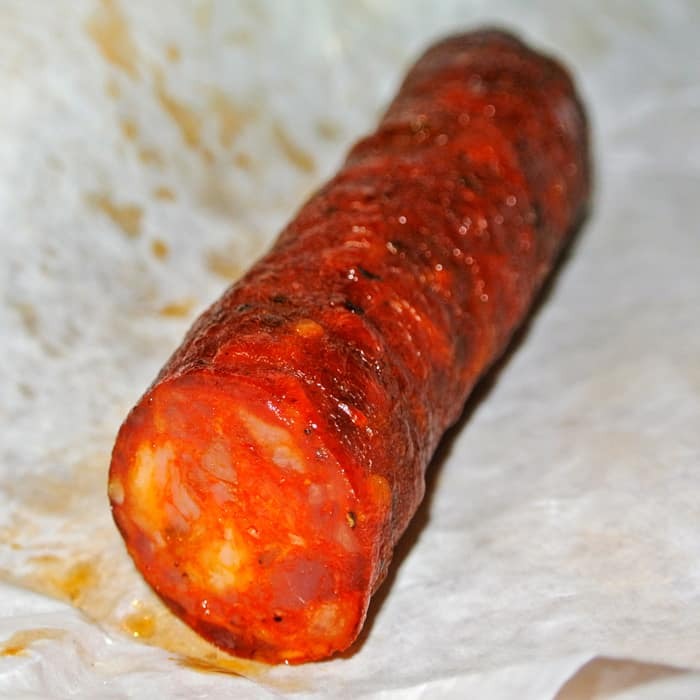 I think it was a Spicy Soppressata – a really great rendition with a pleasantly spicy kick. It was very easy to keep popping slice after slice of that one into my mouth. 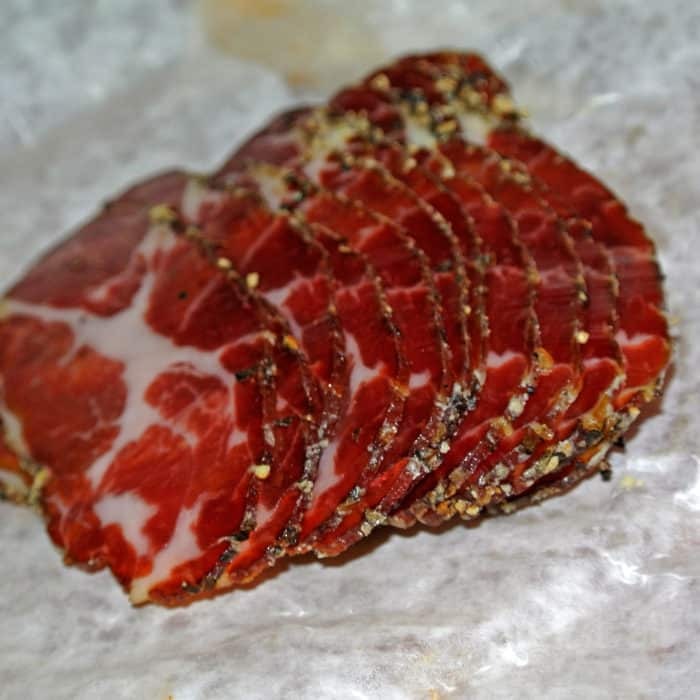 I also selected a cured meat that I was told was made from pork shoulder. I’m not positive, but I think it might be called Uzicki Vratovi. This was really special. It had a slick, stretchy texture kind of like speck and had a distinct meaty flavor with a bit of cheese-like funkiness from the aging process. Strange and awesome. For my next selection, I wanted to pick one of those excellent looking sausages hanging from the ceiling. The owner suggests I try their Dry Jalapeño Sausage explaining that the jalapeño added a flavorful spiciness, not just a burn. I won’t disagree with him there. Even though it was a dry cured sausage, it was actually quite moist on the inside. It was oily, meaty, and spicy just the way I like it. Now this next thing called Taska Bacon was one of the main reasons I came to Muncan. 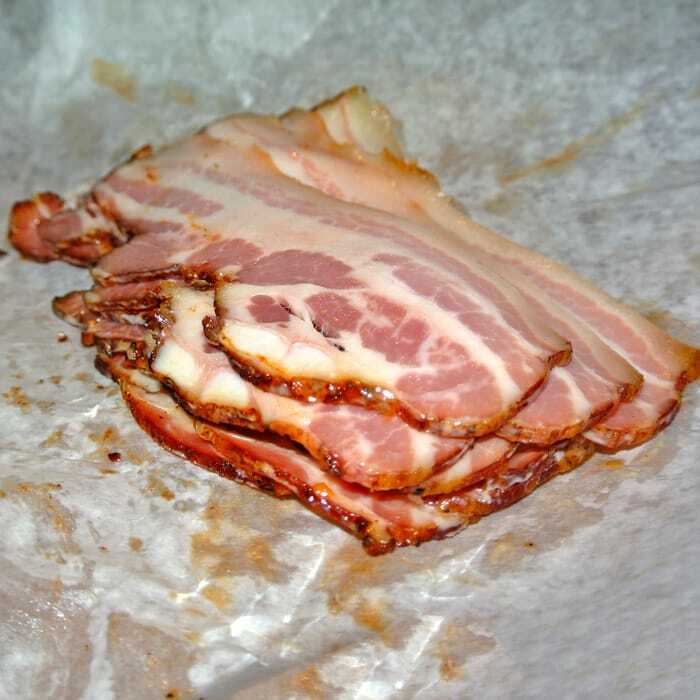 On Bizarre Foods, I watched the complex process they use to make this very special bacon. The amount of time and care is ridiculous. It starts with whole pork bellies that are cured with Kosher salt and a secret family recipe of spices for 3 whole weeks. The entire slab of meat then spends three days in a smokehouse followed by – get this – getting rubbed with beef blood! Yes, they rub the pork belly with rich, spicy, iron-y beef blood then put it back in the smoker for 10 more hours followed by a 2-3 month hanging period to allow it to age. That’s a lot of time, effort, and care going into this bacon! And you know what else, bacon of this quality can be eaten raw! They served it to me raw when sampling it in store and everything about it was outstanding. The smokey meat, the silky fat, and the rich, spicy red exterior. I can also tell you it was awesome griddled like your used to seeing bacon, but I’m pretty fond of just eating it raw. You may think that that’s as good as it could get, but no, there’s one more item I have to share with you and it was actually one of the best things I’ve ever eaten. Ever. It’s called Jumari and it is their take on chicharrónes. 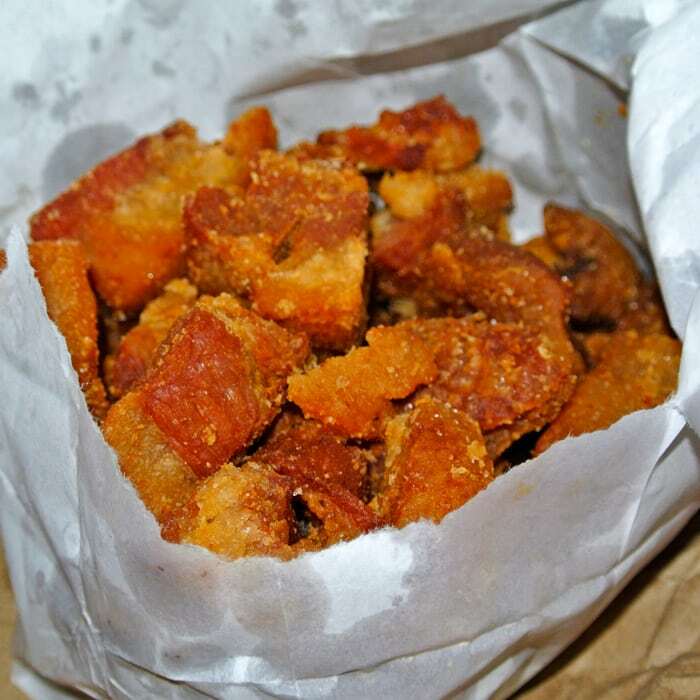 The owner told me as he handed over a sample that their chicharrónes are different than most others because while other chicharrónes are made only of deep fried pig skin, they feature pig meat and fat as well. I’ve never had meat and fat fried like this before. It turned it into a crispy, meaty, oozy, crumbly, shredded bite that was explosively porky. The best way I can describe it is as “meat candy”. While I was busy figuring out how to describe these meaty morsels in words, Tom was busy fantasizing about crushing a bag of these while watching a movie – in place of popcorn. Honestly, I’ve never had anything as intensely porky and addicting as these. You need them in your life. As if I even need to tell you, go to Muncan. Try anything and everything, you won’t be disappointed. By the way, I’m still eating these meats as I write this post. Be jealous, be very jealous. Got another great butcher shop that I should check out? Let me know in the comments below.